Audio Technica headphone ATH-DSR9BT Bluetooth Black BRAND NEW - FROM USA. Condition is New. Shipped with USPS Priority Mail. Audio-Technica ATH-M50xBT Over the Ear Headphones - Black. Condition is New. Shipped with USPS Priority Mail. Limited Edition for 2017! Audio-Technica has released it's LIMITED EDITION ATH-M50X headphones with a gorgeous red and gold finish. We are Authorized Audio-Technica Dealers. And the pro-grade materials are durable, yet comfortable. Audio-Technica ATH-M50x Over the Ear Headphones - Black. Condition is Used. Shipped with USPS Priority Mail. Headphones are in pristine condition as they have seldom been used. Selling because I thought I would use them but I don’t. Have been used at most for a few hours total. They sound great and come with 4 cables: Straight lead to 1/4 in plug Straight short lead to 3.5mm plug (fits phones and computers) Straight long lead to 3.5mm plug Spiral lead to 3.5mm plug Also comes with the original carrying pouch. 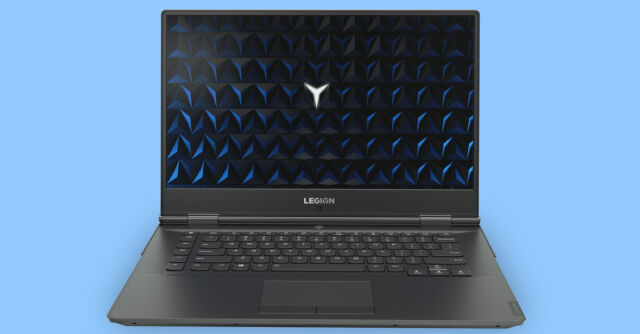 Outstanding sound that is consistently reviewed as top in its class. Condition as pictured. Lightly used. Very good quality. Audio-Technica ATH-COR150 Sonic Sport In-Ear Headphones Earbuds BLUE w/ Cordwrap. Condition is New. Shipped with USPS First Class Package. Audio-Technica ATH-M50x Over the Ear Headphones - Black. Condition is New. Shipped with USPS Priority Mail. Trending at $58.00eBay determines this price through a machine learned model of the product's sale prices within the last 90 days. Audio-technica ATH-ADG1X Gaming Headset. Condition is Used. Shipped with USPS Priority Mail. Used for about 3 weeks. New ear cups that are better than the stock ones. Cleaned. Comes with box and all accessories pictured. Payment due within 24 hours of item ending. Housings constructed of an aluminum/magnesium mix provide a lightweight rigid structure that reduce unwanted resonance. Designed to reproduce Hi-Res Audio allowing you to hear your music the way it was intended. Because of the increased demand due to the popularity of the ATH-M50, Audio-Technica refreshed their entire line of closed-back studio headphones for a redesigned feel. The high-performance ATH-M40x professional headphones are tuned flat for incredibly accurate audio monitoring across an extended frequency range. Audio-Technica ATH-M50x Over the Ear Headphones (Black) -Excellent condition! There is light wear and tear. The pads and head band have no signs of wear. 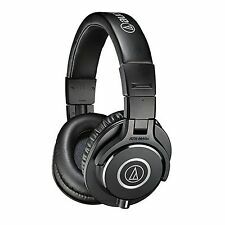 5 out of 5 stars - Audio-Technica ATH-M50x Over the Ear Headphones (Black) -Excellent condition! 317 product ratings317 product ratings - Audio-Technica ATH-M50x Over the Ear Headphones (Black) -Excellent condition! Trending at $90.33eBay determines this price through a machine learned model of the product's sale prices within the last 90 days. 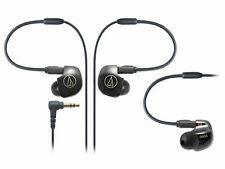 Audio Technica Ath-Cks550Isbk Solid Bass In Ear Hp For Smartphones. The 1.2 m (3. A convenient carrying pouch is also included. Format: HEADPHONES, Black,With Microphone,Earbuds,IN-EAR Headphones. Cable 1.2 m (3. ). If you are looking for some over-ear studio headphones or earbuds, then Audio-Technica has a model to fit your needs. Founded in 1962, this Japan-based company specializes in headsets that are responsive in frequency range, performance, and style. What types of Audio-Technica headphones are there? 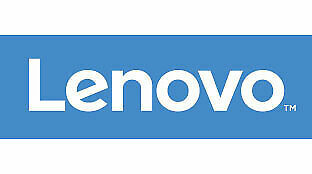 Open-back headphones: The prevalent form of monitor headphones are the open-back type. These permit sound to escape via holes in the siding of the ears, giving you a more realistic stereo sound. These are designed for private or studio use, as sound will escape into the room when in use. Closed-back over-ear headphones: These are more suited for public use, as there are no holes in the material for sound to dissipate. Some models can serve as monitor headphones, letting you hear sound while working on a DJ set or producing a song. Wireless headphones: Some headphone sets work through Bluetooth wireless connectivity with your music-playing device. Audio-Technica has multiple open or closed back models of listening devices that use Bluetooth, including the ATH-DSR9BT and the ATH-S700BT. Studio monitors: These choices are generally over-ear and open-back. They have a flatter frequency response to aid audio technicians and sound mixers. In-ear headphones: These are lightweight portable earbuds that offer flexibility, since they lack a headband of any kind. They will fit snugly in the ear as you move your head around. What are the features of the different headphone models? Here are some tips that can help you choose the right model of Audio-Technica headphones for you. ATH-M50: These open-back monitors offer frequency response with any audio codec. The headband is adjustable for long editing and recording sessions. Included are padded earcups that rest on the ear. ATH-M50x: The ATH-M50x are the same shape, size, and design as the M50, but they have the option to detach and reattach different cables. You can turn these into wireless headphones if you attach a wireless adapter. ATH-W5000: Made from ebony wood, these open-back monitor headphones help detect subtle sounds. Do any Audio-Technica headphone models have built-in volume control? When doing certain activities, such as listening to music while exercising, it is hard to adjust the volume quickly if the device is not accessible. Audio-Technica created models such as the ATH-SPORT1iS earbuds that have a hand-adjustable volume control to give you the ability to turn down louder songs in your music playlist. Some of the closed ear models also have a volume control, such as the ATH-WS770iS. These controls are usually found on the cord for easy access. To reduce the risk of permanent hearing loss, it is important to be conscious of a safe listening volume when using headphones. Content provided for informational purposes only. eBay is not affiliated with or endorsed by Audio-Technica.